Check out these photos from our inaugural summer internship program. Read about our interns' experiences on our blog here. Kaya Collaborative interns Joshua Lim and Janella Chan interview Edukasyon.ph executives. Kaya Collaborative interns Joshua Lim and Janella Chan interview Gifts and Graces executives. 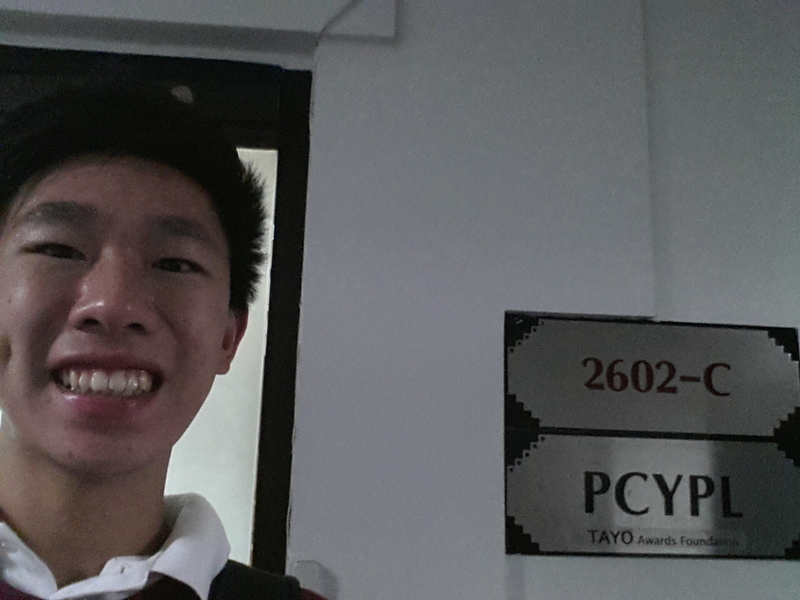 TAYO Foundation intern Alexander Go Tian poses outside his office. 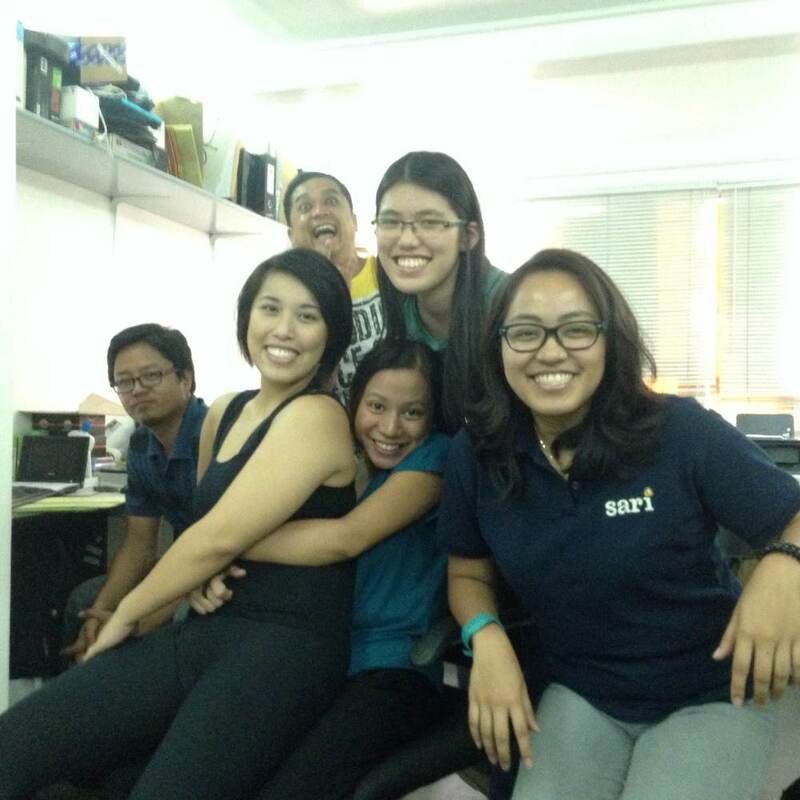 Pulse.ph intern Cheska Bernabe poses with her bosses. 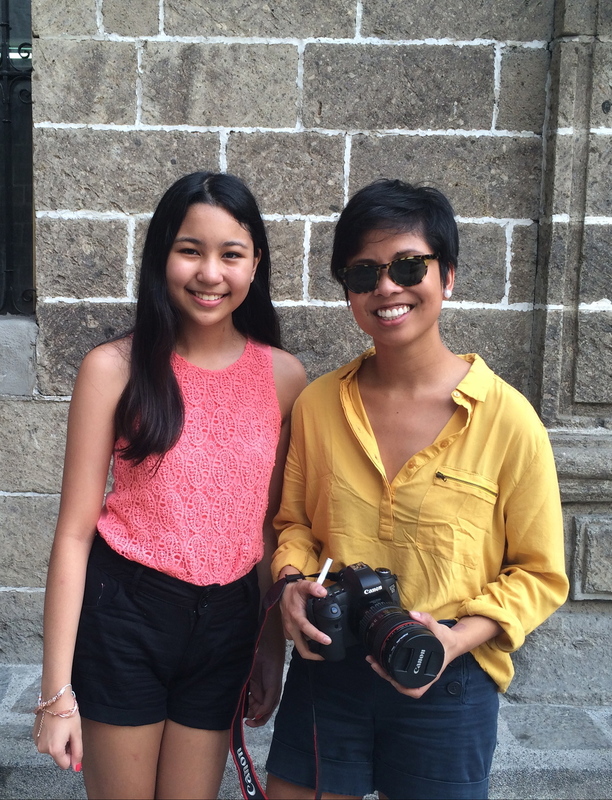 Pulse.ph intern Cheska Bernabe poses with Founder Rovaira Dasig. 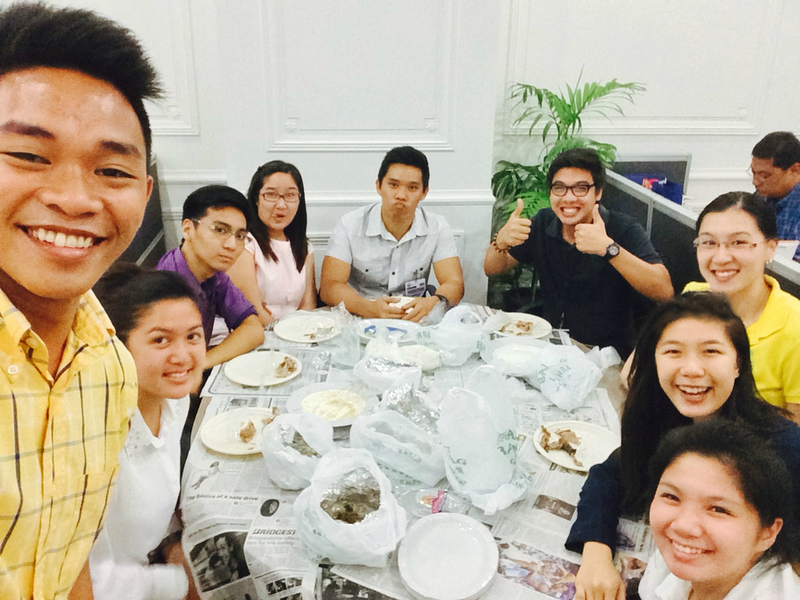 Intern Chiawen Chiang at lunch with co-workers from the Office of Senator Bam Aquino! Edukasyon.ph intern Irah Zapanta interviews CEO of BCDA Arnel Casanova. Intern Annicka Koteh hard at work at the Office of Senator Loren Legarda. 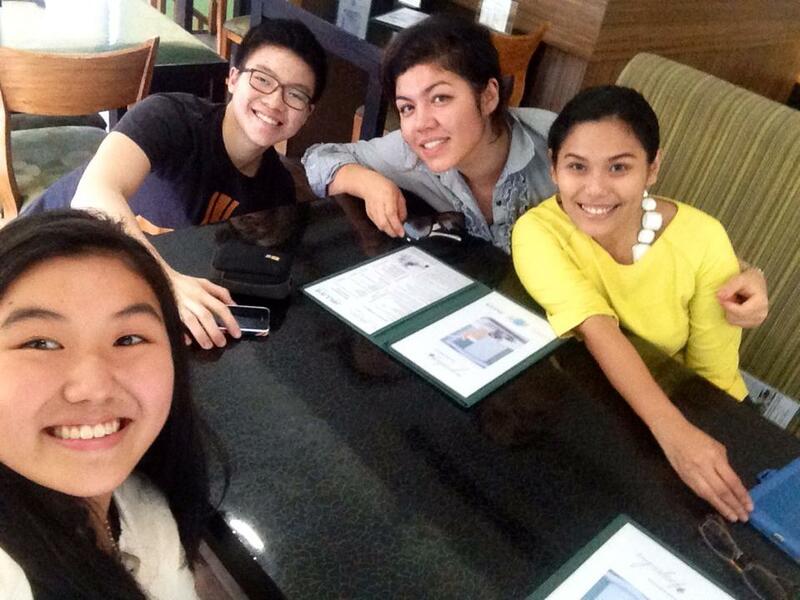 Intern Annicka Koteh having lunch with co-workers from the Office of Senator Loren Legarda. Mabuhay Restop Intern Anne Pagkalinawan poses with co-workers at an event. HSSi Intern Matthew Yap with the company's solar panels. HSSi summer intern Matthew Yap and 2014 mentee Nicole Alberto with HSSi solar powered lights. Bambike Intern Linet Dumag riding a company bicycles in the park with co-workers. 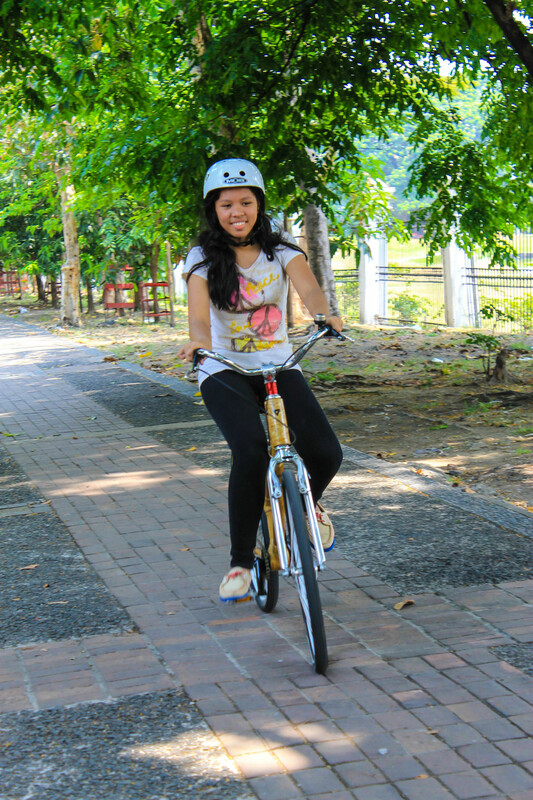 Bambike Intern Linet Dumag riding a company bicycles in the park. Action Stack Intern Korina Gaw poses with her boss, Walter Wong. 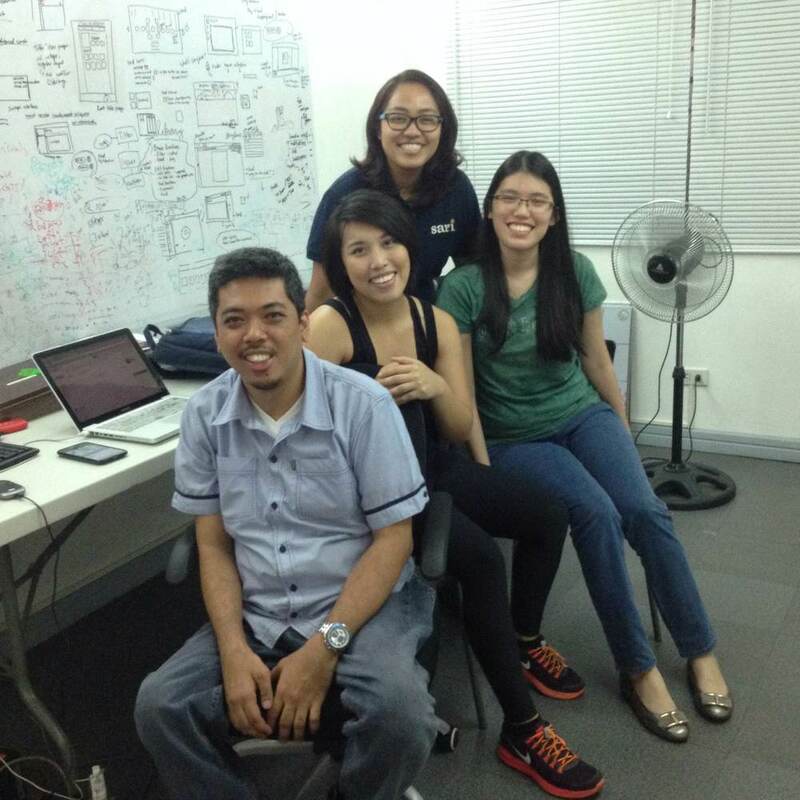 Intern Alyssa Ty with co-workers at Sari Software Solutions. Intern Alyssa Ty hard at work at Sari Software Solutions. Mind Museum Intern Teddy Peralta exploring the exhibits at his workplace. Mind Museum Intern Jolo Fernandez hard at work.